Aleen deals with all corporate matters, including mergers and acquisitions, joint ventures, corporate finance transactions and corporate reorganisations. She is head of the in-house lawyers team. 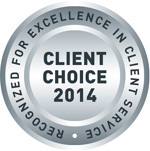 Aleen has been recognised in the Client Choice Awards 2014, winning the category for General Corporate Lawyer – UK. The Client Choice Awards are organised by the International Law Office and Lexology. The awards are based upon a survey of more than 2,000 GCs, who are asked to rate firms and individuals on a range of criteria, including quality of legal advice and commercial awareness.